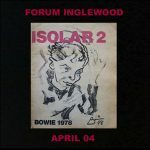 David Bowie 1978-05-14 Frankfurt ,FestHalle. 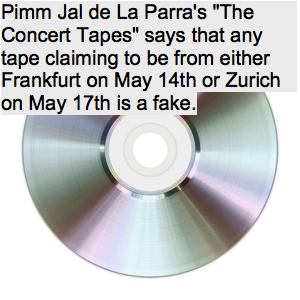 Pimm Jal de La Parra’s “The Concert Tapes” says that any tape claiming to be from either Frankfurt on May 14th or Zurich on May 17th is a fake. The tapes that he heard that were supposed to be from either of those dates were in fact alternative sources for Lyon on 26th May 1978. Not sure if anything further has been discovered in the 33 years (blimey) since that was published though.